I love it when a seemingly mundane product surprises me with awesome marketing! 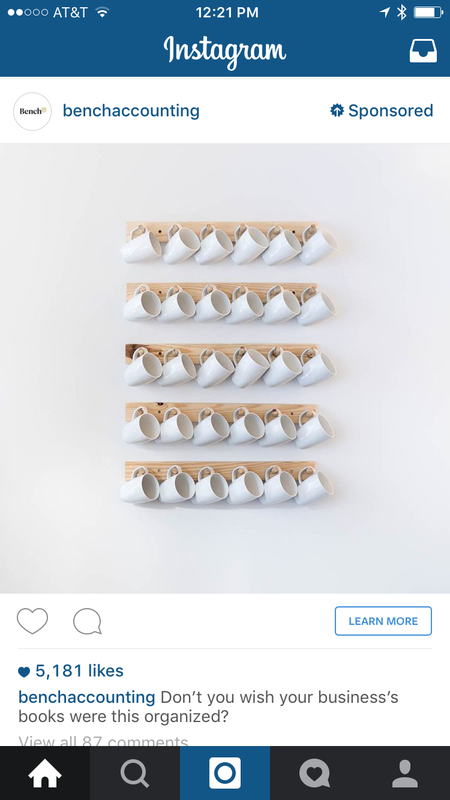 Check out how Bench Accounting uses Instagram to make a point, beautifully. Extra points go to them for aligning their ad with a great purchase funnel action. The “Learn More” link goes right to a mobile-ready form!